Property taxes will be going up in a number of Delaware such as Ardens and Middletown. For New Castle County property owners will see their 2019 taxes go up as part of a two-year phase in. In addition, the county government is updating the amount that residents in cities will shoulder to pay for county services. 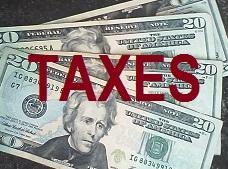 The Wilmington News Journal reports that overall taxpayers will see a 7.5 percent general hike in property taxes. The paper also reports that some cities will see increases that are greater than other municipalities. But the paper reports some towns like Elsmere, Townsend and Odessa could see a reduction in their bill because of the adjustments.